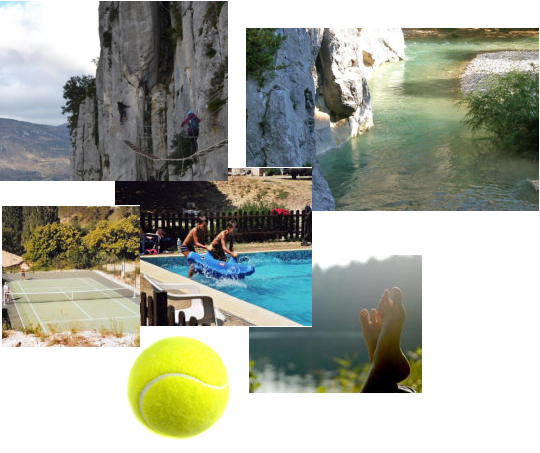 On site you can enjoy the swimming pool, petanque, ping-pong and tennis (with extra charge). The little ones can meet at the playground. Directly from the campsite, you will particularly enjoy Hiking trails for all levels. They allow you to discover the diversity of the landscapes of our beautiful region as the promenade of lavender, cross to Brantes or to the castle of Aulan ... Close aquatic hiking in the gorges Toulourenc or Ubrieux will ensure a memorable and refreshing day. Many festivals and events as well as major local markets are held several times a week. We are at your disposal to inform you about the different activities such as horseback riding, tree climbing, via ferrata, paragliding, etc ... and the most beautiful places to visit in the Drôme Provençale.